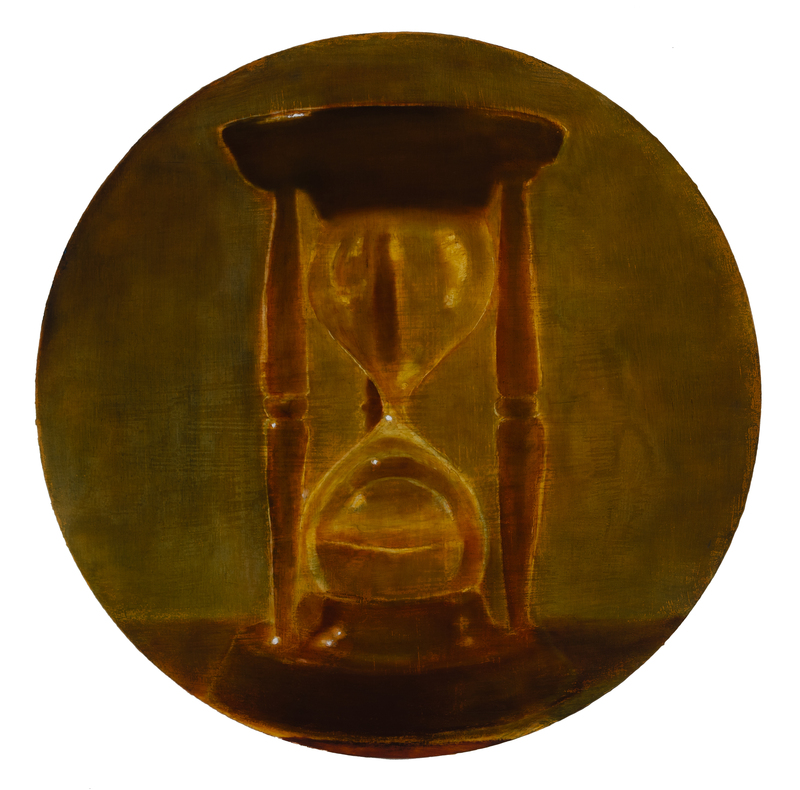 Tempus Fugit, 2018, oil on panel, 24 in. 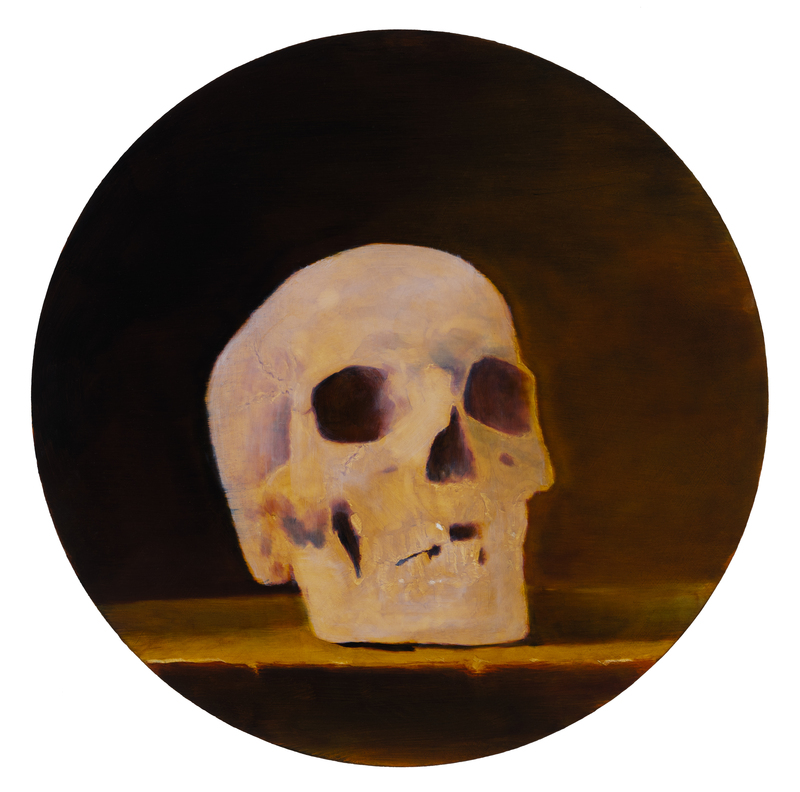 Skull II, 2018, oil on panel, 24 in. 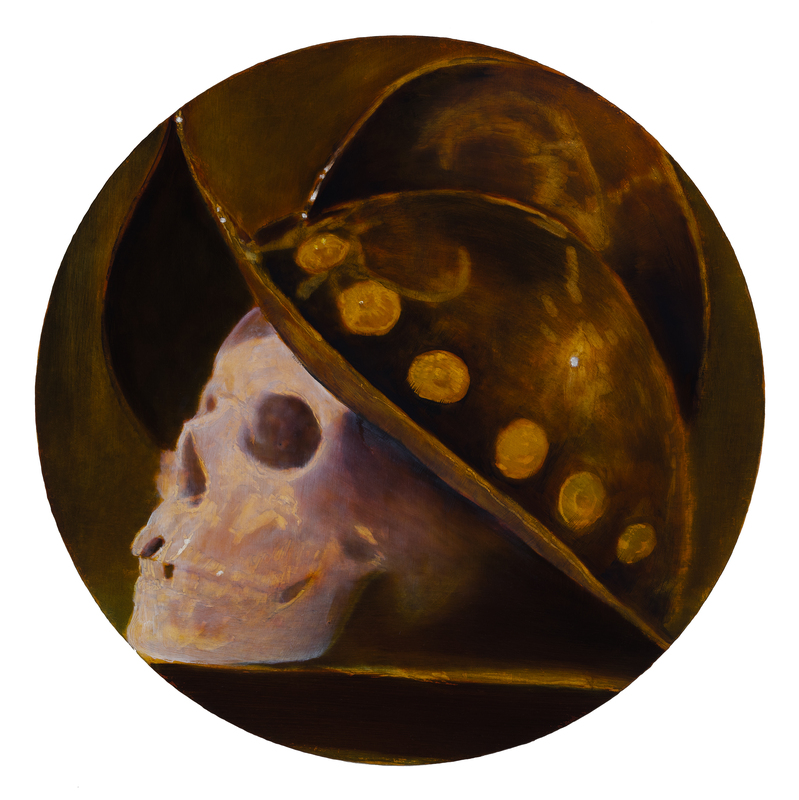 Morion, 2018, oil on panel, 24 in. 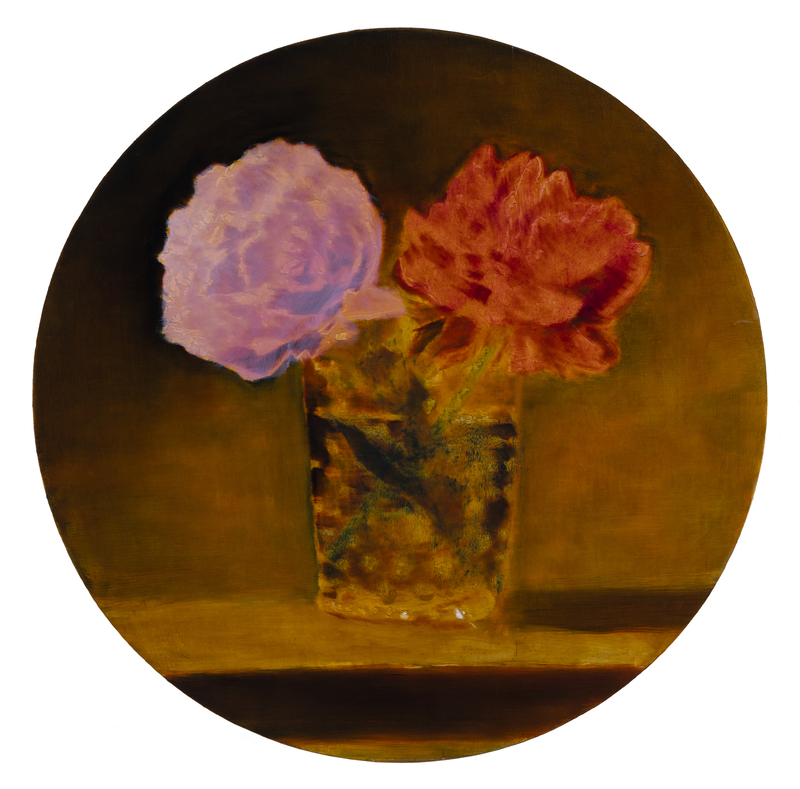 Peonies, 2018, oil on panel, 24 in. I made these images in oil paint with a simple lens camera obscura of my own design and manufacture. Only available natural light was used for illumination. Focus was achieved through the use of a fixed wooden aperture. 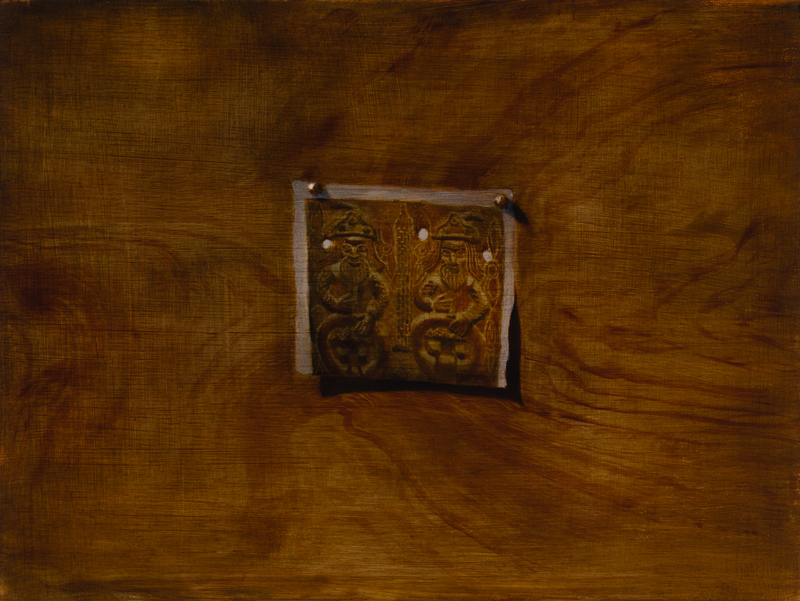 The purpose of this experiment was to investigate recent hypotheses regarding the use of cameras obscura by early modern painters such as Caravaggio and Vermeer. The use of the camera obscura I constructed required the use of bright direct sunlight. The image produced inside the camera was only bright enough to be used to make a painting for around half an hour a day. The use of a simple planoconvex lens created aberration and distortions. The image was in a constant state of flux and was vulnerable to disruption by passing clouds or foliage. Despite these challenges, images could be made from the project image inside the darkened camera. Anamorphic images similar to those produced by Holbein and other artists of the early modern period could be achieved by tilting the support through the axis of the camera. Viewers may draw their own conclusions regarding the results of this experiment. Conceptually, the work can perhaps be considered a form of alt-process photography or an imitation of the methodology of experimental archaeologists. Experimental archaeology can be interpreted as a nostalgic desire to repeat or reenact the past. The scholar Matt Gatton theorizes that cameras obscura are an ancient technology. He speculates that the famous Eleusinian mysteries of the Ancient Greeks involved the use a primitive magic lantern, or camera obscura in reverse. 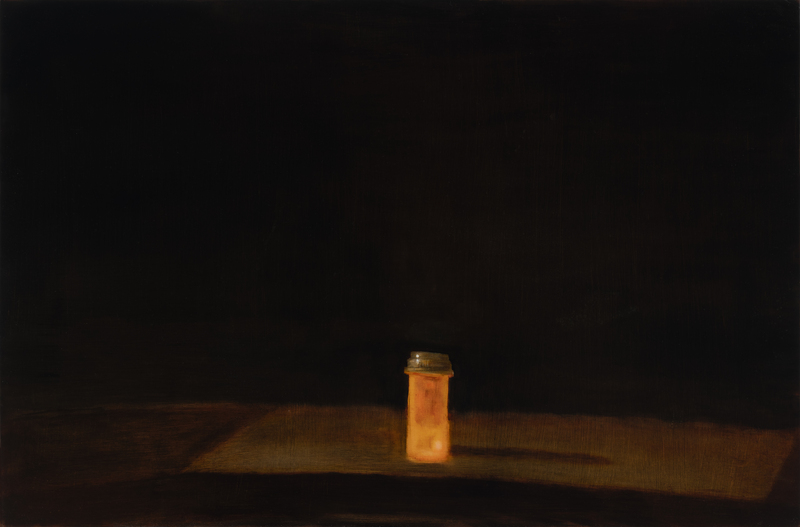 Interestingly, the artist inside the camera obscura is in the position of the duped or intoxicated worshiper, rather than the hierophant manipulating the spectacle. Inside the camera, abstract psychoanalytic concepts such as projection and the gaze become physically apparent. Sidestepping the axis of the camera, the artist may achieve an anamorphic perspective as they create the image. 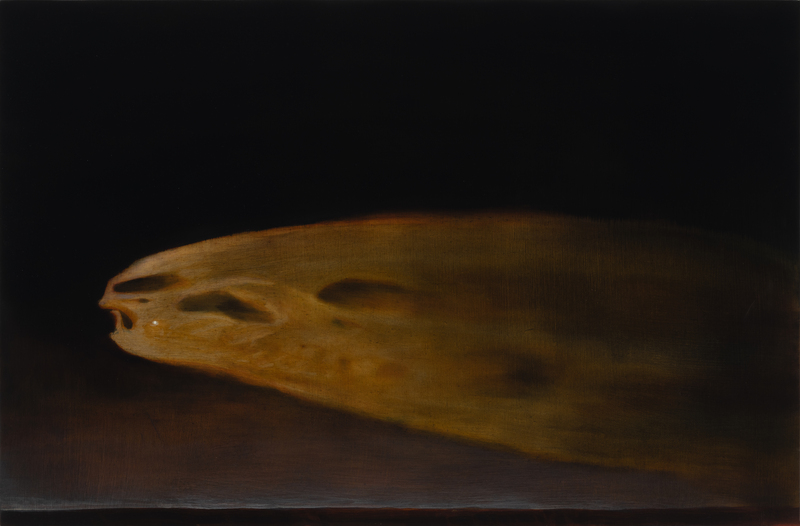 Anamorphosis I, 2017, oil on panel, 24 x 36 in. 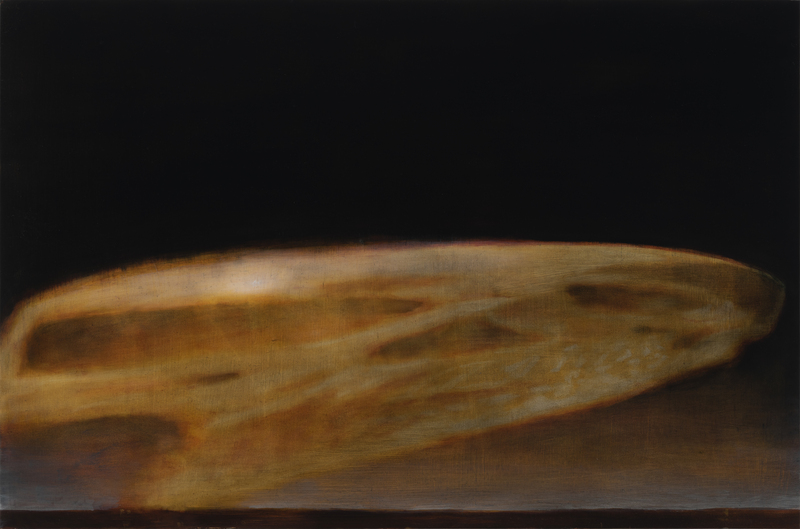 Anamorphosis II, 2017, oil on panel, 24 x 36 in. Vial, 2017, medium, support, 24 x 36 in. de Champaigne, 2018, oil on panel, 24 x 36 in. 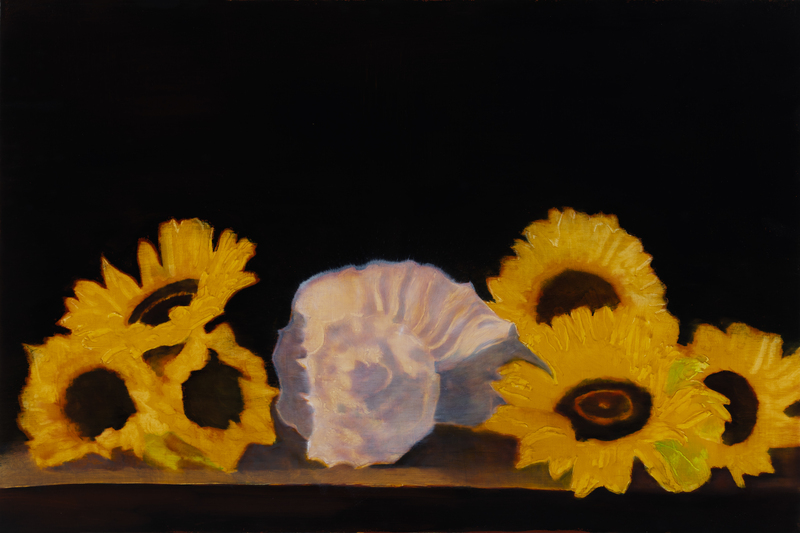 Solstice, 2018, oil on panel, 24 x 36 in. 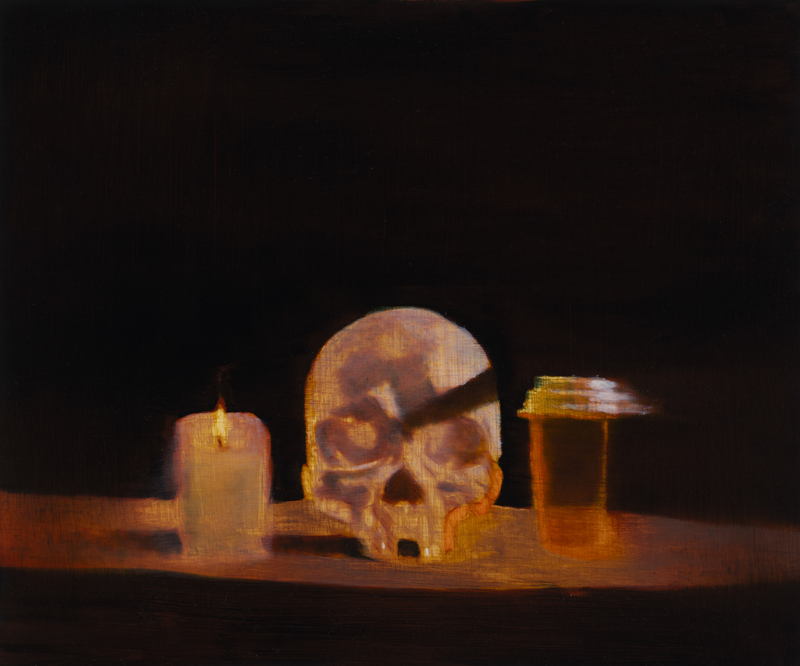 Carthusian, 2018, oil on panel, 24 x 30 in. 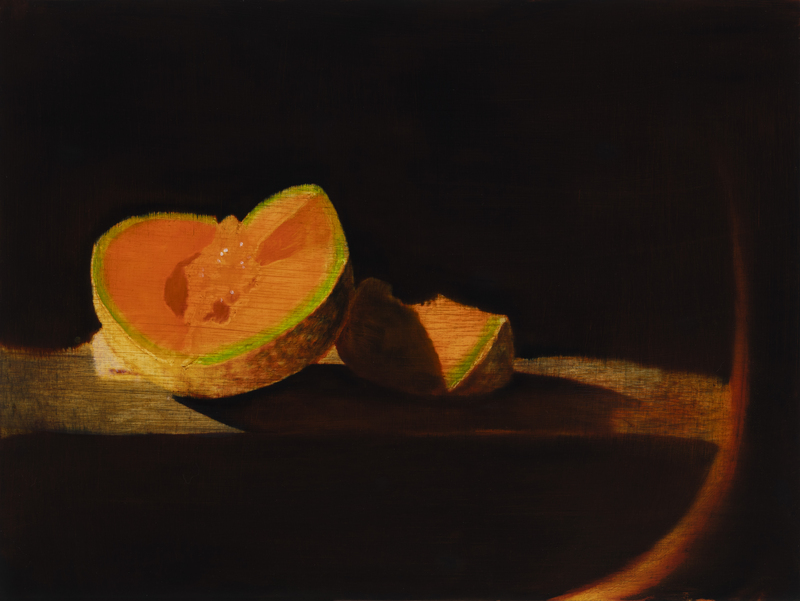 Melon, 2017, oil one panel, 20 x 24 in. 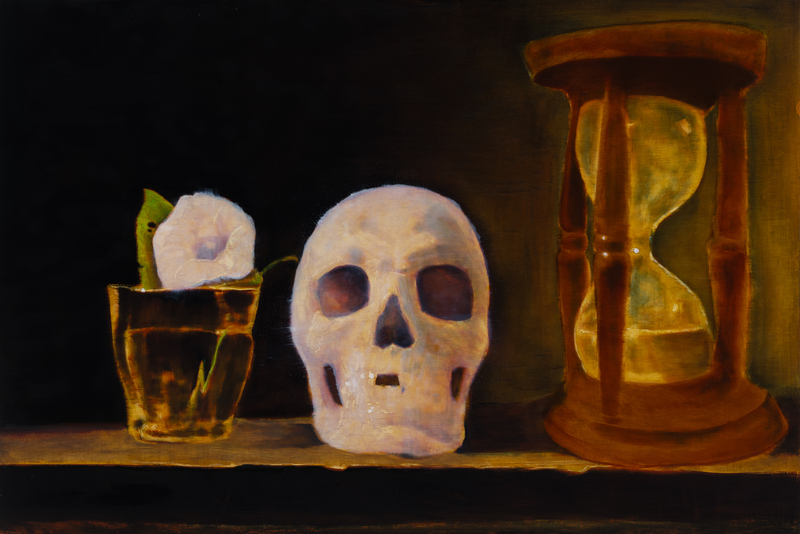 Vanitas I, 2018, oil on panel, 20 x 24 in. 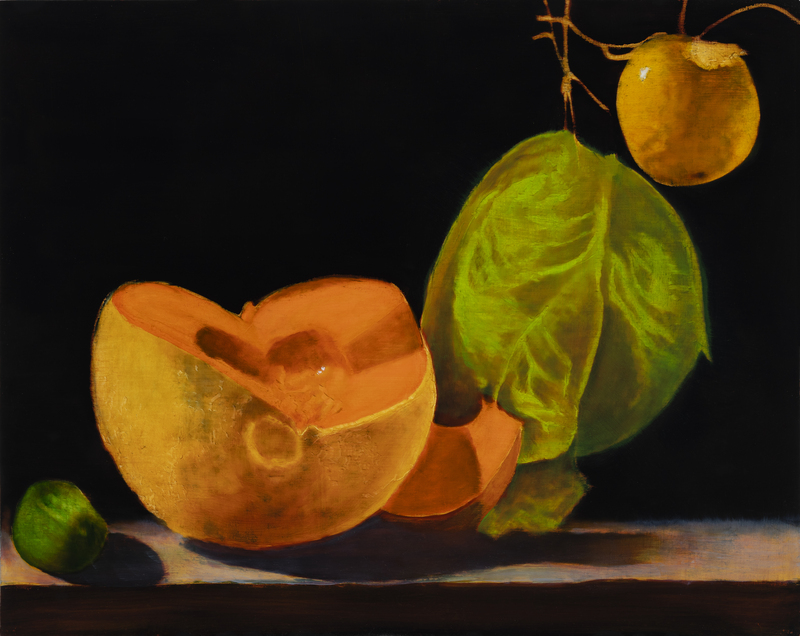 Chicory, 2017, oil on panel, 20 x 24 in. 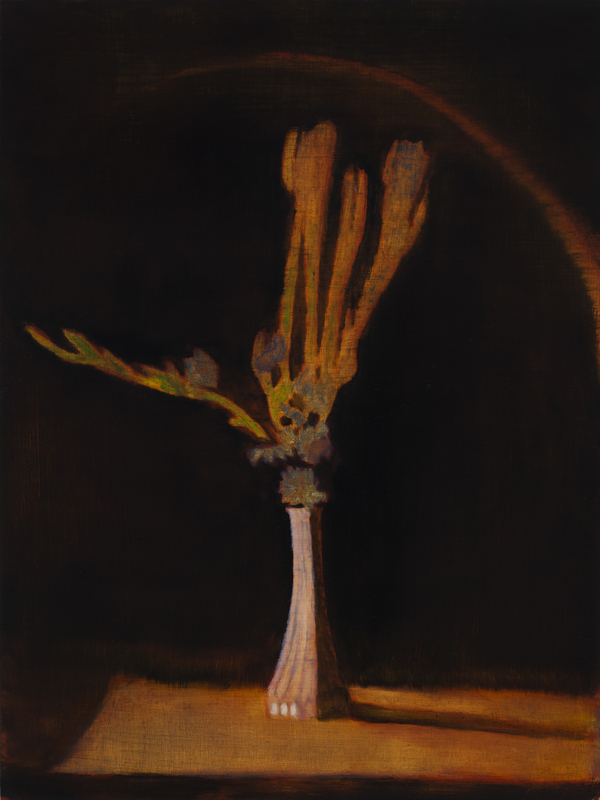 Rockefeller Collection, 2018, oil on panel, 16 x 20 in.